Aalayam - Colors, Cuisines and Cultures Inspired! 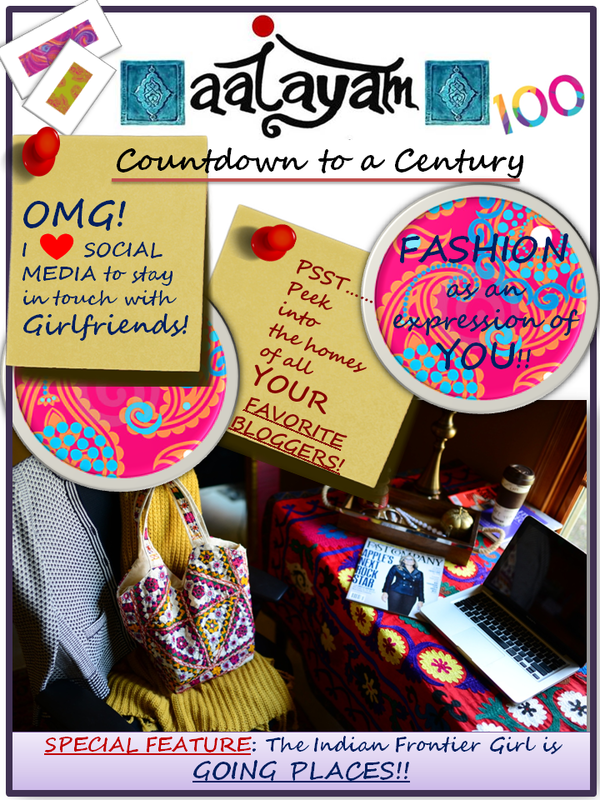 : Countdown to a Century: Flashback and Peekforward! Countdown to a Century: Flashback and Peekforward! We are going to be a 100 posts old soon! And this is the perfect poignant moment for us to flash back, and peek forward. The poster above is a fantastic peek forward to the COUNTDOWN TO A CENTURY!! And here’s a flashback. At all the humbling feedback, comments and love we have received – just a tip of the iceberg over the course of the last year and …..94 posts!!! I pause to say Thanks once again for letting Aalayam grow this big. Without your validation, we would not have come this far! Thank you! And welcome Raj!! Please join the growing Aalayam family and become a member. Click on the "Join this Site" widget and sign up with your email address. We love welcoming new members with a keen aesthetic! Looking forward to seeing you around more!